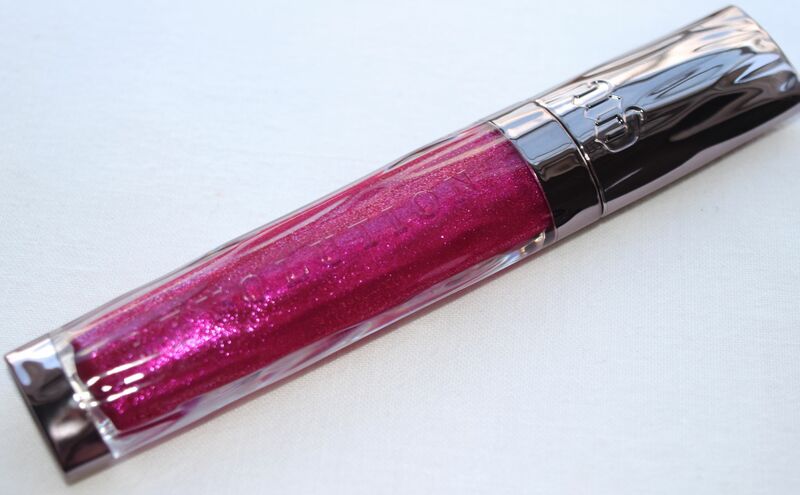 Brand new for summer, Urban Decay have released a brand new line of lip glosses which promise to give ‘insanely intense color with badass shine.’ Tempting, right?! 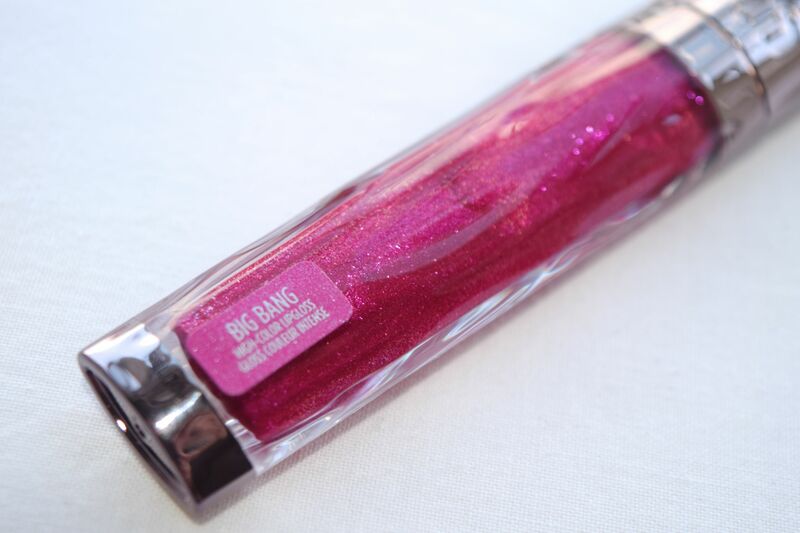 I got Big Bang to try out, which is a stunning bright pink gloss, absolutely laden with glitter. I got pretty excited when I unboxed the gloss, I couldn’t help it! The pink and the sparkle combined made me feel like a giddy 12 year old again! When I first open the tube, there is the faintest vanilla scent, although it disappears once I apply the gloss, and isn’t it gorgeous! 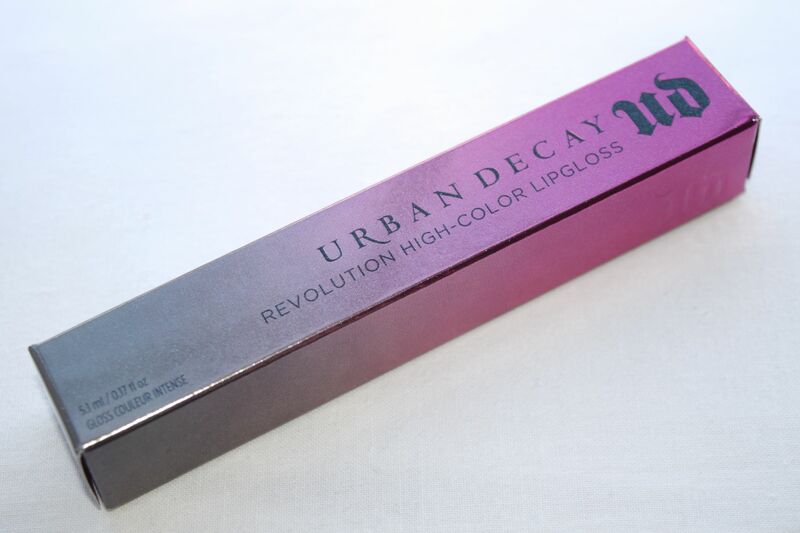 The formula feels quite thick to apply, and there isn’t any stickiness. In fact, Big Bang feels almost balmy to use. 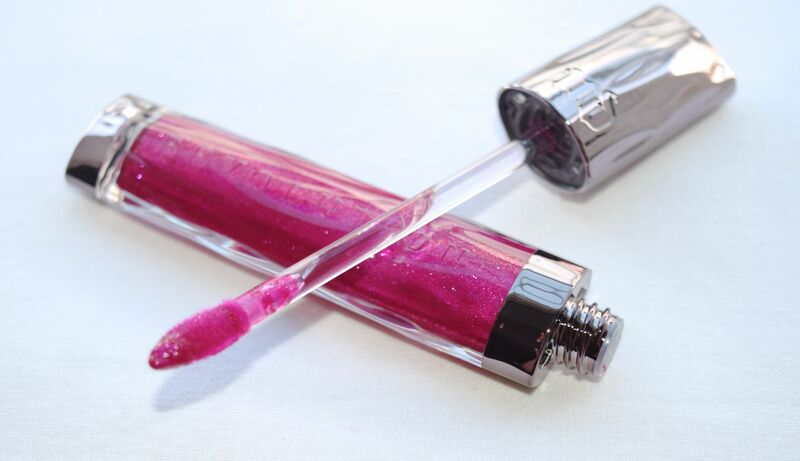 On the lips, Big Bang looks a bit redder than it does in the tube, although it’s amazingly glossy! The glitter in the formula feels somewhat magical too! Somehow, Urban Decay have managed to create a sparkle which doesn’t feel gritty or rough, even when most of the gloss has worn off. The wear-time is fabulous too – I easily get about 3 hours of chine before I feel the need to reapply, but even when I’m no longer glossy, Big Bang leaves lips with a pretty pink stain. Have you seen these posts? Please enter your email address to subscribe to LuxeList and receive notifications of new posts by email.